The Vail Town Council gave final approval on Tuesday, Dec. 19, to a plan for Phase 2 of the Mountain View Residences. When completed, the project will add 15 condos, 20 accessory units and 15 workforce apartments to the site on the northeast edge of Vail Village. • 2,760: Current estimated shortage in housing units in Eagle County. 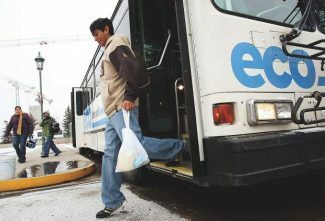 • 6 percent: Increase in Eagle County median household income since 2007. • $80,600: Annual median income in Eagle County, as of 2017. • 20 percent: Increase in home prices during that period. EAGLE COUNTY — Housing has always been in short supply in the Vail Valley. Today, there’s less available housing, and it’s becoming more expensive. 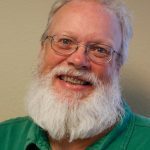 Eagle County’s government last year hired Rees Consulting Inc. and Williford LLC to conduct a thorough assessment of the county’s housing needs. The assessment was the first since 2007. Kim Bell Williams and Tori Franks, of the Eagle County Housing Department, talked about the study’s results at the Tuesday, April 17, afternoon meeting of the Vail Town Council. Williams and Franks talked about needs and economic conditions, as well as possible solutions to the county’s housing shortage. The survey looked at conditions but also surveyed county residents. That survey received more than 700 responses. • Costs are rising faster than wages. Since 2007, wages have increased by an average of 6 percent while housing costs have increased by 20 percent. • Average wages lag the state average by about $220 per week. • Home ownership percentages in the valley have declined since 2007. • But 95 percent of survey respondents indicated they’d like to own a home. • For downvalley residents, “community” and amenities including dining and social activities outweigh proximity to work. The reverse is true for renters in the upper valley. • Renters want more diversity in pricing — meaning more people would like studio and one-bedroom units. • Even with utilities paid, many people who took the survey said they’d like more energy efficiency in their homes. • Renters would like more units to allow pets. While the issues are fairly clear, answers are murky. Franks said those who answered the survey showed lower support for public funding. Vail Town Council member Greg Moffet said voters in the upper valley — with the exception of business property owners, who pay far more than residential owners — might not object too much to a “modest” property tax increase. On the other hand, there are far more absentee owners in the upper valley, particularly in Vail. Franks said whatever answers develop, cooperation between the public and private sectors will be essential. Cooperation between local governments will be equally important. For Vail, the heart of the valley’s economic engine, Moffet said that cooperation has to have a specific look. “I’d be happy to participate with the county, as long as we’re close to 100 percent aligned,” he said. “We think we understand what works,” he added, so it’s essential that the town’s partners do, too. Moffet added that workforce housing outside of Vail also needs to consider proximity to the resorts. “Every mile you go west (with a project) creates a cost here,” Moffet said. Given the lack of transit from Dotsero, every employee who commutes the length of the valley has to park somewhere in Vail. Mayor Dave Chapin noted that housing plans need “clear-cut” policies. Williams suggested that the county and its towns could participate in “land banking” — buying property with the idea of using it as a way to provide lower-cost land to developers. Williams noted that Summit County has had a similar system in place for a number of years. “They have 250 units coming out of the ground this year,” she said. Back in Eagle County, a flurry of development proposals has resulted in concrete plans to bring more housing online. Here’s a look at some of the projects currently being built or planned in the valley. Location: 501 North Frontage Road, just east of Red Sandstone Elementary School. The plan: The existing 24-unit building just east of Red Sandstone Elementary School is being torn down and will be replaced by a 65-unit complex. The Sonnenalp, which owns the property, will continue to use Solar Vail for its own employees, but at least 25 percent of the units will be available to other renters. The Vail Town Council in 2017 agreed to buy $4.25 million in deed restrictions on the property. What’s next? Construction is expected to be finished in September of 2019. Location: 1783 North Frontage Road. That’s just east of Vail’s City Market, on the site of the old Roost Lodge, which was torn down in 2014. Owner/developer: Peter Dumon, the Harp Group, both based in Chicago. The plan: The combination hotel and deed-restricted apartment complex has passed all but one of its town approvals. Vail Housing Director George Ruther said the Chicago-based Harp Group, led by Peter Dumon, needs only to complete a development agreement. That agreement then needs to be reviewed and approved by the Vail Town Council. If the project is built, then it will add nearly 100 deed-restricted apartments to the town’s rental inventory. What’s next? Ruther said the agreement is now with the Harp Group. Once that firm comes to the town, the project can proceed. While Dumon in 2017 said the project was expected to break ground no later than the spring of this year, the property remains vacant. Location: 434 South Frontage Road, just east of the Vail Village parking structure. Owner/developer: Peter Carlson’s Gore Creek Group. The plan: The project would create 15 condominiums, 20 accessory units and 15 workforce housing apartments on the east end of Vail Village. What’s next? 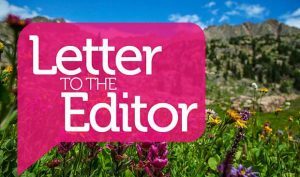 Ruther said the project’s approval has been challenged by homeowners at the Tyrolean, who have gone to court in a dispute over the legality of the project’s December approval by the Vail Town Council. Location: 3700 North Frontage Road, just north of the East Vail interchange off Interstate 70. The plan: A 23.3-acre parcel owned by Vail Resorts was in 2017 re-zoned for both natural preservation and housing. That re-zoning effort was opposed by neighbors but ultimately passed by the Vail Town Council. The land currently is zoned for workforce housing in 5.3 acres, with the remainder now in the town’s Natural Area Preservation zone. What’s next? 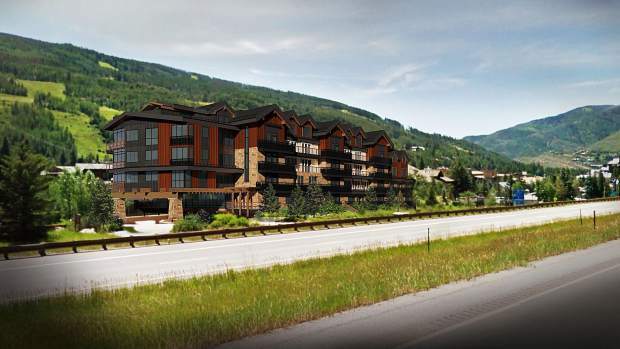 In an email, Vail Resorts Vice President of Mountain Community Affairs Kristin Kenney Williams wrote that the company is now looking to sell the housing parcel to a third party. When that deal is struck, it will be up to the development company to obtain town approvals. Aside from specific projects, the town is continuing its InDeed program of buying deed restrictions in order to keep those units available for local buyers. Ruther said the town council earlier this year put another $500,000 into the deed restriction fund. Location: 90 Benchmark Road, Avon. The building looks like a fire station because, up until recently, it was. The plan: After leasing the former fire station to Venture Sports over the winter for employee housing, the town of Avon is currently seeking a new business to rent out the unoccupied building. The space accommodates up to 12 people in 12 individual bedrooms and 6 1/2 bathrooms. The building is currently under consideration by the town of Avon for other uses, but during that study, the Avon Town Council is committed to seeing the building utilized for worker housing rather than remaining vacant. What’s next? Interested businesses are encouraged to visit http://www.avon.org/bids to learn more about how to submit a Letter of Interest. Location: 30-acre parcel on the west side of Eagle on what used to be called the JHY parcel. Owner/developer: Brue Baukol Capital Partners and Lauren Brockman, owner of Convergence Multifamily Real Estate Group. The plan: 500 total units in three phases: 69 townhomes and the rest one- and two-bedroom apartments. What’s next? They’re being annexed into Eagle. The plan: 22 studio apartments over 6,374 feet of commercial space. What’s next? Construction is scheduled to begin this fall. Location: Sylvan Circle at the Sylvan Lake Road roundabout in Eagle. Owner/developer: Gold Dust Partners, an Eagle company. Bruce and wife Mary Ann, and sons Brad and Jesse, are Gold Dust Partners. The plan: 42 units approved on five acres. What’s next? Construction has begun. Location: Wall Street, across Sixth Street from Eagle Town Park. Owner/developer: Joe Frasco and Les Samelson. The plan: An eight-unit townhouse development that continues Eagle’s effort to create development near its downtown core. What’s next? The project was approved. Location: Brush Creek Road on the south side of Eagle. The plan: Purchase got his approval for 36 units, which could increase by a few. Purchase wants to build duplexes on single-family sites. The price point is slated to be about $500,000 for around 2,000 square feet of space with unfinished basements. What’s next? Construction scheduled to start in 2018. Location: South of Eagle along the Eagle River. The plan: 153 units on 130.3 acres along the Eagle River, east of Eagle. What’s next? They’re working through the approval process. Location: South of Eagle on Brush Creek Road. The plan: 837 homes approved several years ago. It’s Eagle’s first big development since Eagle Ranch was developed. What’s next? The first phase could begin construction soon. Location: South of U.S. Highway 6 between Valley Road and Jules Drive in Gypsum. The plan: Formerly known as Stratton Flats, Spring Creek Village includes 282 apartments in 12 condo buildings, 76 townhomes in 19 four-plex units and 15 single-family homes. Amenities proposed include two playgrounds, a soccer field, a basketball court, community gardens, pickleball courts, a dog park, volleyball courts, trails, barbecue and picnic areas and a clubhouse facility. Additionally, there are two perimeter parking areas for residents’ recreational and off-road vehicles. The developers say the project will meet a pressing need in the valley by offering both restricted and open-market rentals. The proposed rate structure for the restricted units would be $904 monthly for a one-bedroom unit, $1,094 monthly for a two-bedroom unit and $1,269 monthly for a three-bedroom unit. For the market-rate units, the monthly charges would be $1,160 for a one bedroom, $1,525 for a two bedroom and $1,700 for a three bedroom. What’s next? The developers are continuing to work toward acquisition of the property. Location: 765 Red Table Drive, just south of U.S. Highway 6. Owner/developer: Grant, Kelly and Jason Herzog. The plan: At build out, Red Table Apartments will be a 76-unit complex. The project amenities include an on-site laundry facility, storage and garage options, pet friendly units and a high speed fiber-optic network for internet connection. $1,100 to 1,200 — One bedroom, one bathroom (584 square feet) with $35 fee for common area utilities and a $1,400 security deposit. $1,325 — One bedroom, one bathroom (584 square feet) and a garage with $35 fee for common area utilities and a $1,500 security deposit. $1,400 — Two bedroom, two bathroom (902 square feet) with $40 fee for common area utilities and a $1,600 security deposit. • $1,525 to $1,650 — Two bedroom, two bathroom (902 square feet) with garage and $40 fee for common area utilities and a $1,700 security deposit. Storage lockers at the site vary from 66 to 110 square feet and rent for between $50 to $75 per month with a $100 security deposit. Tenants are responsible for electric, telephone, television and internet costs. What’s next? According to Kelly Herzog, the first 25 new units on site are fully occupied and tenants began moving into the next 12 completed units last week. The final 21 new units will be completed by early June. The laundry facility and community room at the site will be completed next week and a ribbon cutting ceremony at the project is planned Thursday, May 3. Herzog said 100 percent of the project is preleased. Location: South of the Eagle County Regional Airport in Gypsum. The plan: The plan for the 170-acre site calls for development of 559 units, including 332 units in an age 55-plus community. Siena Lake will also include 227 units in a “mountain cottage” and high-end RV neighborhood. Planned amenities include creation of a lake at the center of the development, a private clubhouse, community center and other owner and resident amenities. Planned public amenities include open space and a trails system, including improved motorized Bureau of Land Management public access and a town adventure park located near the site of the sledding hill south of Costco. A final component of the plan is mixed-use commercial development along Cooley Mesa Road, including as many as 32 live-work projects. Siena Lake represents a totally new product in Eagle County — both with the age 55-plus community and the mountain cottage/RV neighborhood. What’s next? On Wednesday, June 6, the Gypsum Planning and Zoning Commission will begin public hearings for the project planned unit development and preliminary plan applications. Location: Buckhorn Valley subdivision south of the Eagle County Regional Airport. Owner/developer: Green Valley Homes LLC. The plan: The Mountain Gateway project will feature 48 for-sale condominium units in 12 four-plex, two-story buildings on a seven-acre site in the upper Buckhorn Valley area. The units feature a two-bedroom, one bathroom floor plan. What’s next? The Gypsum Planning and Zoning Commission is scheduled to begin review of the project PUD preliminary plan and final plat on Wednesday, June 6.